I just got back from Santa Fe, and the weather is gorgeous. 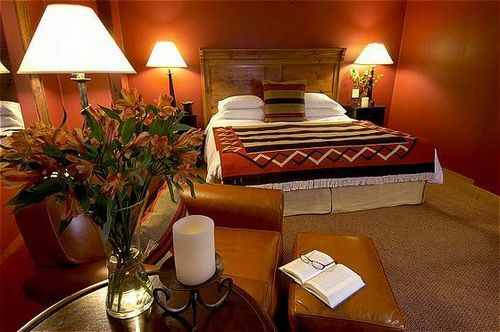 Summer is a great time to book a trip to the Land of Enchantment, and the folks at the Inn & Spa at Loretto hope you’ll be their guest when you go. They’re offering a bunch of special packages right now, including a highly discounted rate of $189 per night. Some packages also include tickets to the Loretto Chapel, or meal credits at Luminaria, their in-house restaurant. Check out all of their newest offers here. And don’t forget to read Madeleine Zinn’s insider’s guide to Santa Fe before you go. Plus, remember to visit the newly-opened (and gorgeous) New Mexico History Museum while you’re in town!